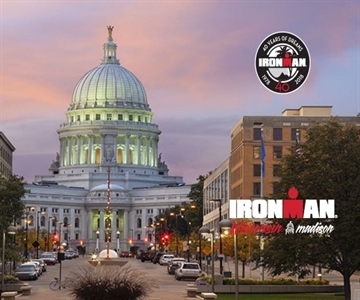 It's tough to beat IRONMAN Wisconsin's 75,000 cheering fans. In the bucolic college town of Madison, Wisconsin visitors can enjoy walks through the downtown area and the University of Wisconsin campus. State Street is a bustling small-town destination, providing a range of restaurants, shops, and galleries. The Madison Saturday farmer's market gives athletes and their supporters yet another way to enjoy this rural location with big-city culture. The 2018 IRONMAN Wisconsin will offer 40 qualifying slots for the 2019 IRONMAN World Championship in Kailua-Kona, Hawaii.